CINCINNATI — April 18, 2018 - Previewing the latest in a growing portfolio of advanced dairy packaging options, ProAmpac made its formal debut today at the International Cheese Technology Expo (ICTE) at the Wisconsin Center in Milwaukee. Visitors to ProAmpac’s booth (525) will be able to view the company’s trademark PRO-FLEX performance cheese films and its newest vertically integrated dairy lidding capabilities, including a non-aluminum alternative for die-cut lids. 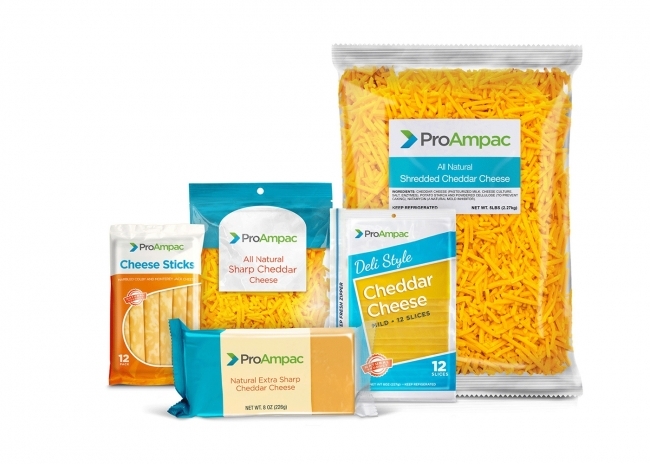 ProAmpac will also display its new peel-and-reseal lidding film, an innovation that enables consumers to have easy open-and-reclose access to cheese products in rigid containers. “To help customers find solutions, we are driving collaboration two ways: internally, by drawing on a wider and deeper pool of talent, and externally through partnering with our customers,” stated Adam Grose chief commercial officer for ProAmpac. “I urge ICTE attendees to visit ProAmpac’s booth and meet our innovation team members Hesam Tabatabaei, director of research, innovation and technology, and Jeff Sesolak, product development manager. Visit with them and you will experience firsthand, ProAmpac’s approach to collaborative innovation,” Grose continued. With over $1.4 billion in sales, ProAmpac is one of the nation’s fastest-growing flexible packaging companies and is listed among the top ten packaging converters in the United States.